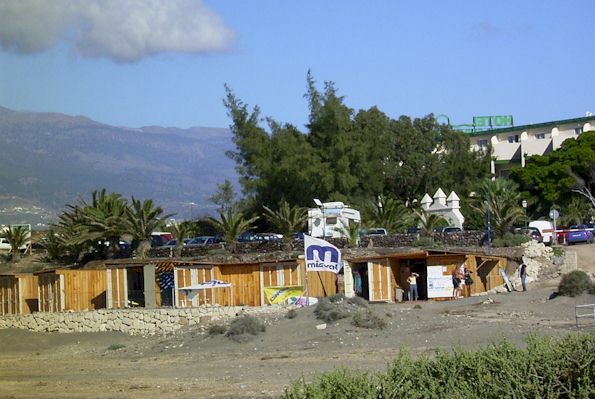 Have a look from the Mountain: the very first building beside of the shore is our location since December 2002. With a wunderful view to the mountain "Montaña Roja". We've got also the sunset nearly every day. Sometimes real great! This picture made Kim from the mountain. Thanx to him. 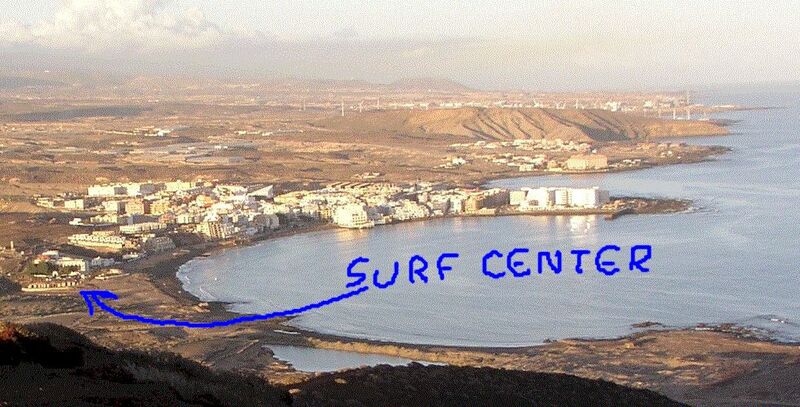 Another nice overview you'll find at the website of D'light, one of the surfshops and boardsmakers in El Médano.